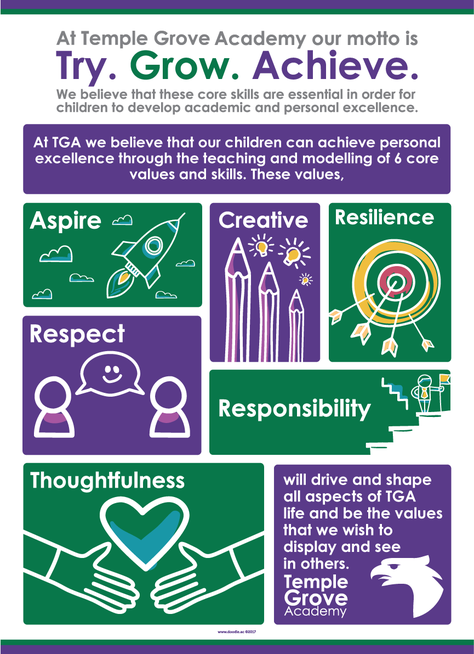 We believe that these values will drive and shape all aspects of TGA life ("be the change you want to see in the world") and be the values that we wish to display and see in others. We aim to provide a safe, happy, caring, well-ordered environment in which life-long learning can take place and where each child is valued as an individual. The Academy has a disability non-discrimination policy as part of its Equal Opportunities Policy and is wheelchair friendly.